One Letterman Drive. The 23-acre campus features four 5-story office buildings totaling approximately 850,000 square feet surrounded by a 17-acre park with a flowing creek and lagoon as its focal point. Tenants at One Letterman Drive will have access to the private dining commons, fitness center, and first-class child care facility. 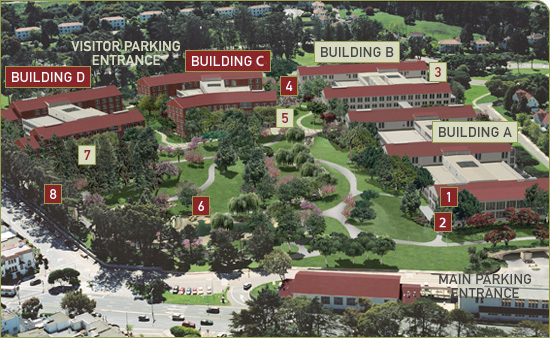 On-site parking is available in a subterranean parking garage and a free shuttle service dedicated to the Presidio connects the campus to downtown transit hubs in addition to routes in and around the Presidio.